Nicholas Federici practices in the firm’s Financial Services and Corporate Groups. Mr. Federici concentrates his practice in the areas of private investment funds and corporate transactions. He regularly advises clients in connection with the structuring and organization of domestic and offshore hedge funds, private equity funds, fund of funds, venture capital funds, real estate funds, cryptocurrency funds and other alternative investment vehicles. Mr. Federici is also experienced in mergers and acquisitions, asset purchases and divestitures, debt and equity financing transactions, as well as general corporate and securities matters. 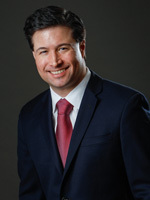 Prior to joining Sadis & Goldberg, Mr. Federici was an associate with Marino Partners LLP and spent several years as a corporate attorney at law firms in New York City and Greenwich, Connecticut. Mr. Federici began his career in the financial services industry as a proprietary securities trader prior to attending law school.